‘Tis the season to discover! We’re opening our doors for MORE hours the week before Christmas so that you can keep out-of-town visitors and kids entertained. The DHDC will be packed with holiday cheer. Join us in the evening on December 20th, 21st, and 22nd from 5:30 pm – 8:30 pm. Admission during these special hours will be only $5 per person (members and 2 and under are still free). There will be a special seasonal showing of “Let it Snow” in the Space Theater several times each night (included in admission) and the café will be open with specials on hot chocolate and popcorn. We’ll see you here! 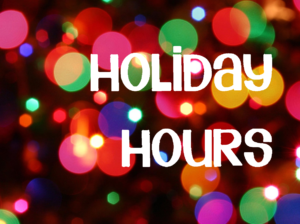 Please note, we are open regular business hours all three days as well (9:30 am – 4:30 pm).